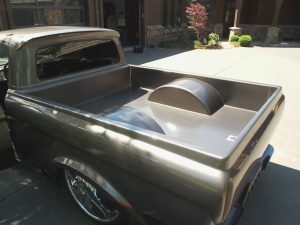 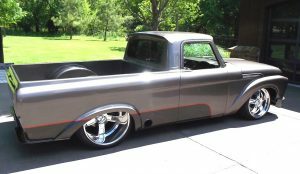 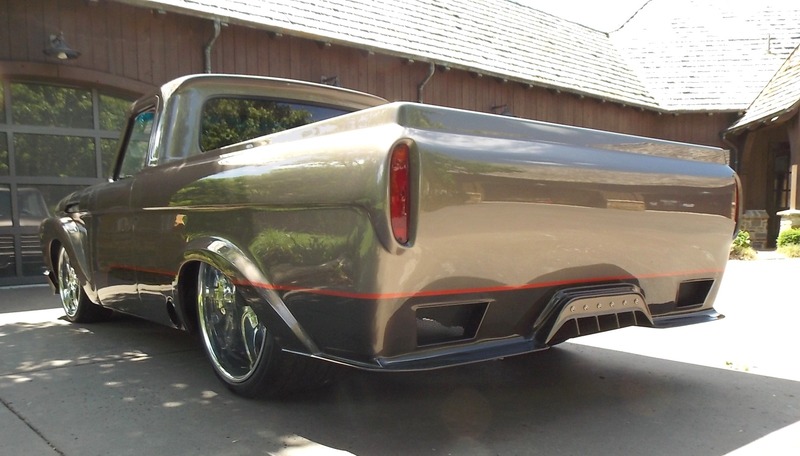 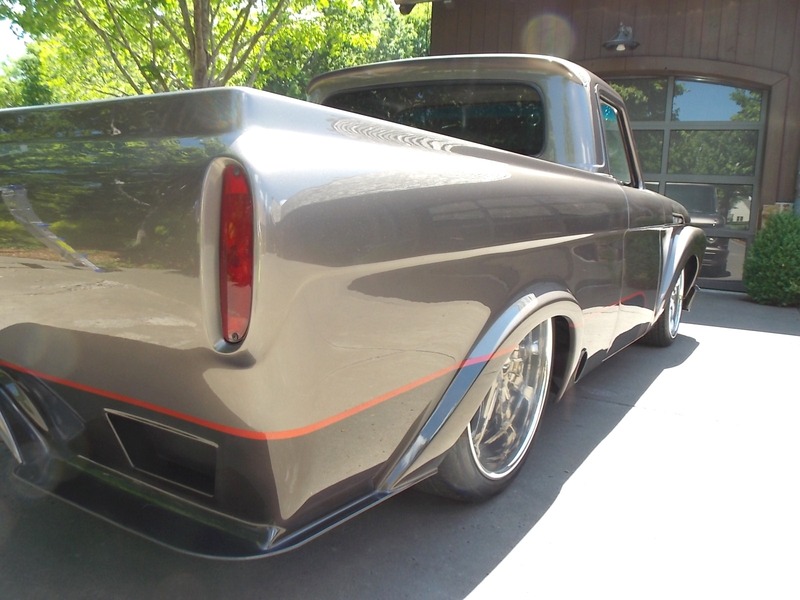 This is a chopped Ford gone wild with the windshield leaned back, fenders widened and moved up, custom hood, front and rear fender styling with a hand-fabricated grille and cowl. 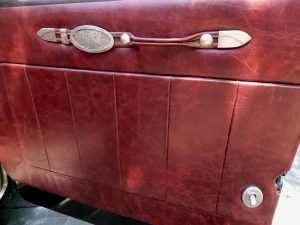 The bed has been completely restyled, wrapped and smoothed. 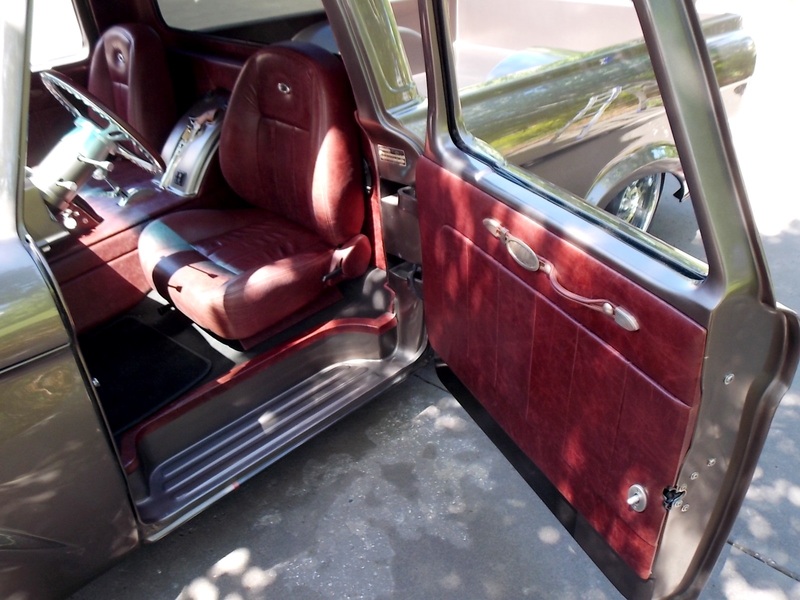 Suicide doors, flush-mount glass, single-piece side glass and innovative custom hand-fabricated steel dash and console accents really take it to the next level. 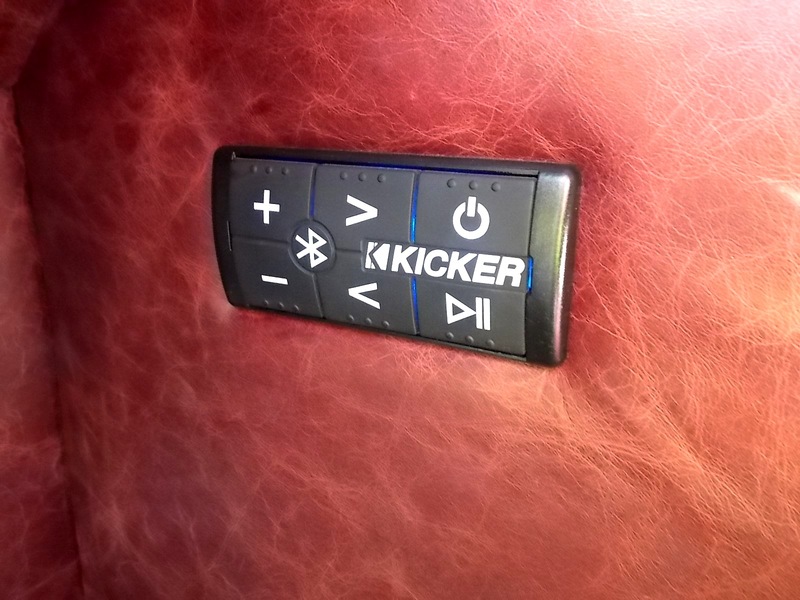 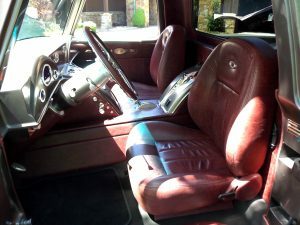 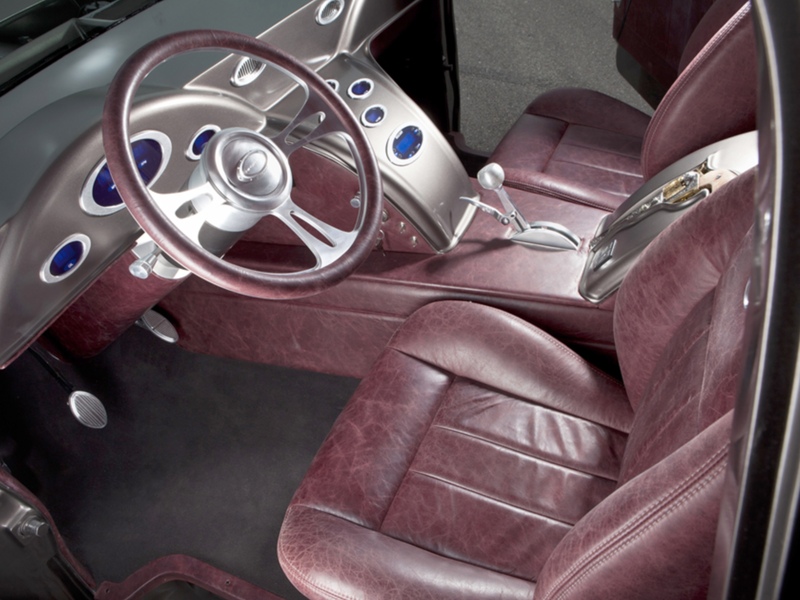 The interior is luxurious Italian distressed leather, all trimmed and filled with the latest Kicker audio components. 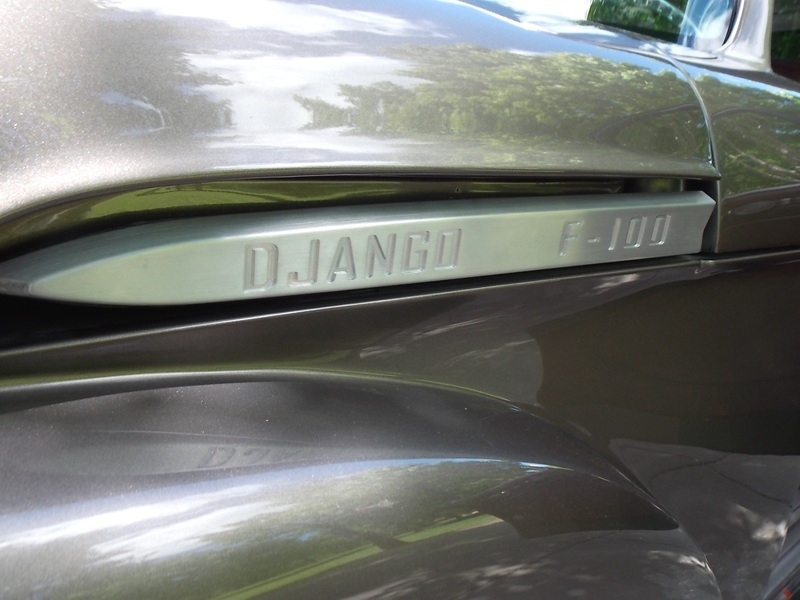 Django is enhanced with meticulous metal fabrication, ingenuity, gritty stance and paint laid out like glass, which makes this all-steel truck truly one of a kind. 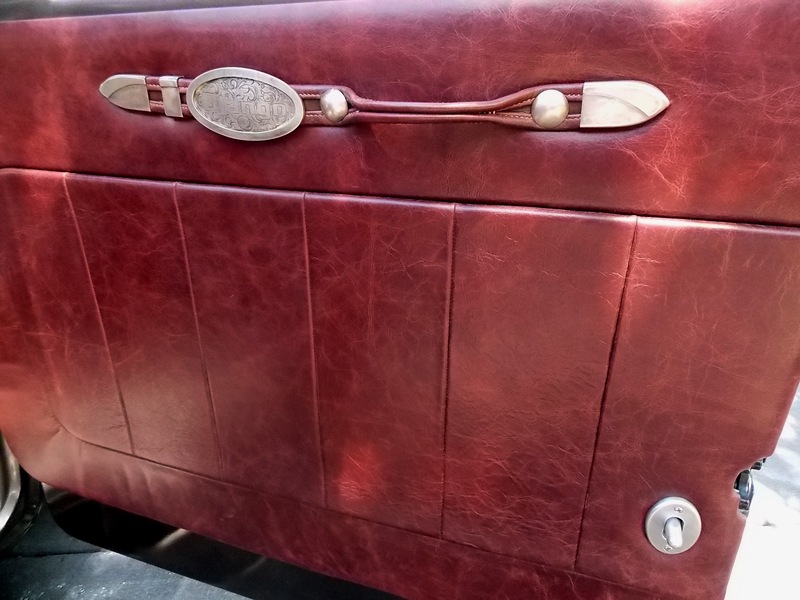 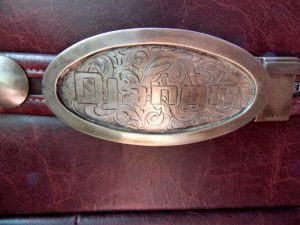 A western theme that starts on the exterior with leather belts and buckles and continues to the interior, where distressed Bordeaux leather seats by JS Interiors are matched with leather-belt door pulls complete with silver buckles and tips. 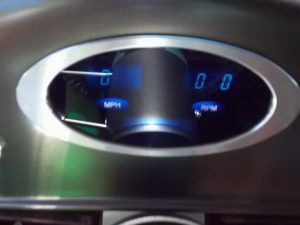 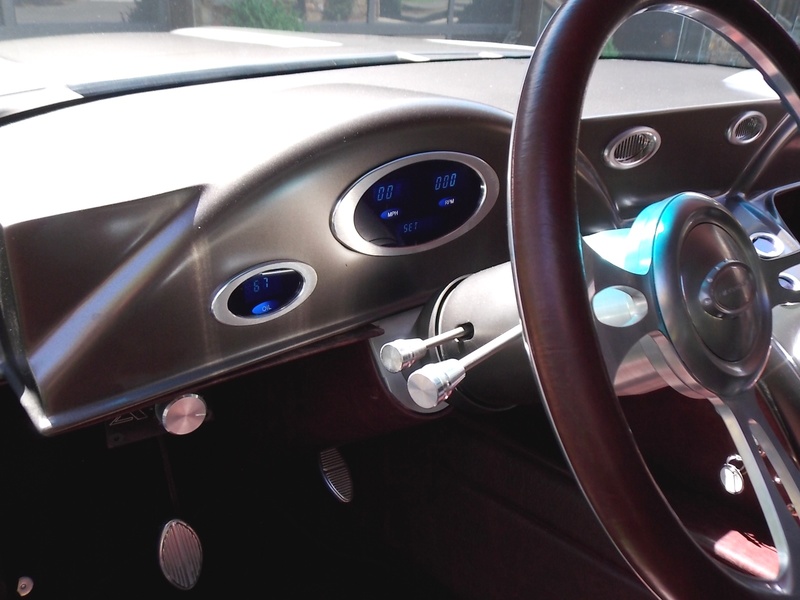 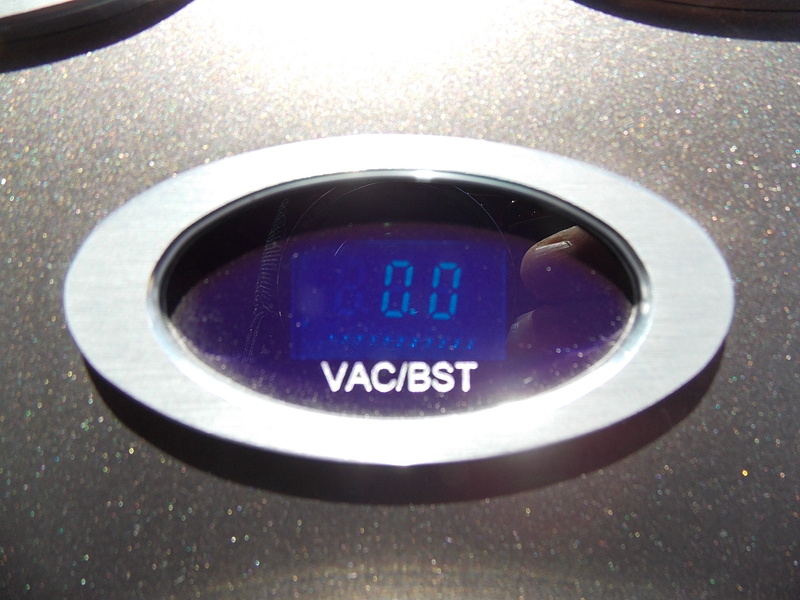 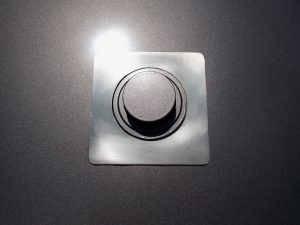 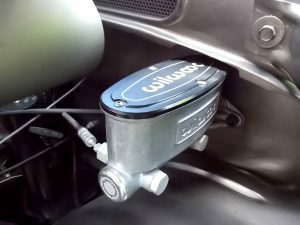 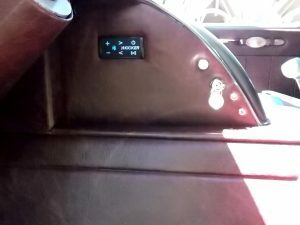 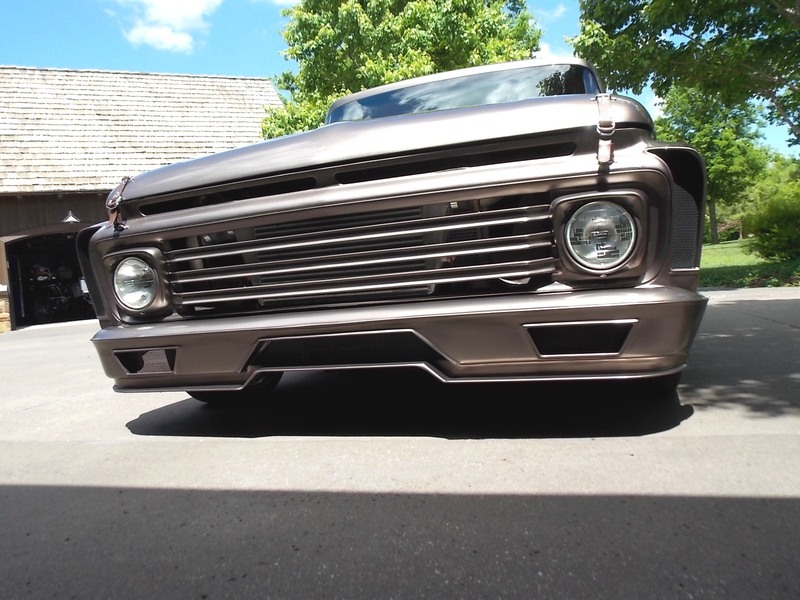 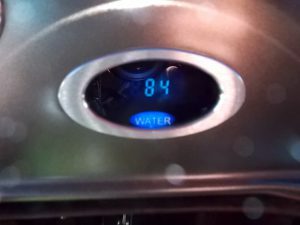 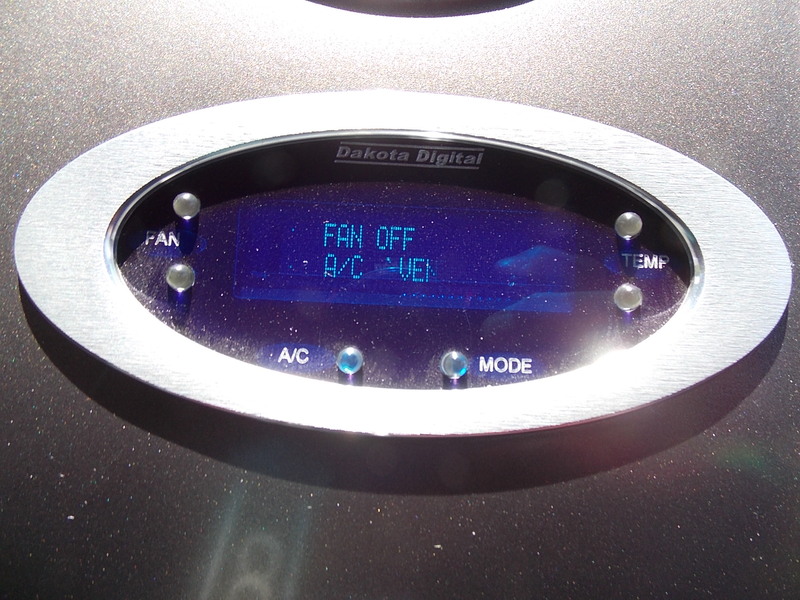 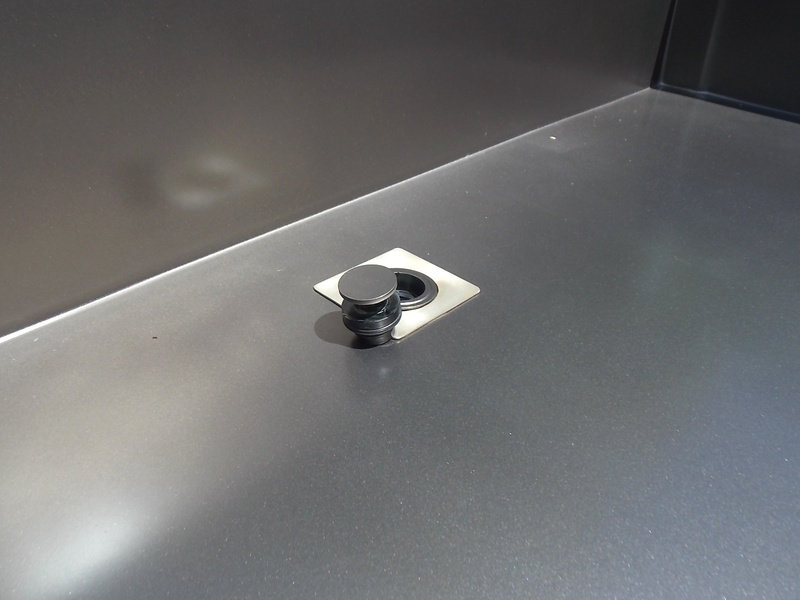 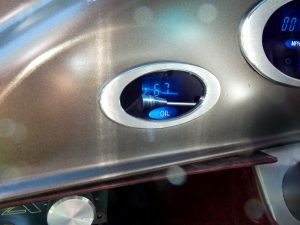 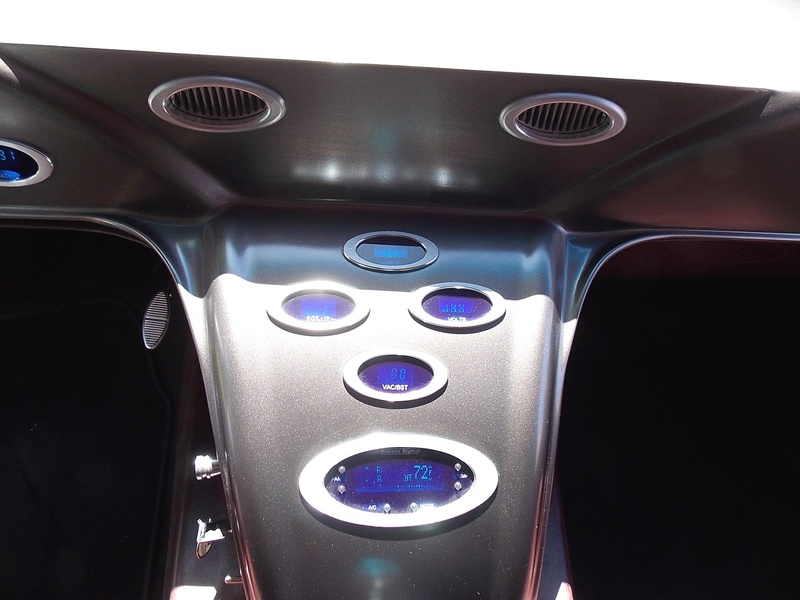 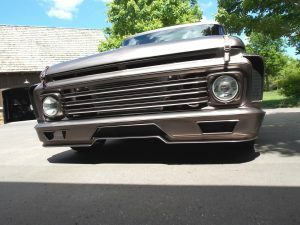 A custom dash was hand-fabricated in steel, just like the rest of the truck, and houses Dakota digital VHX analog gauges and switches for Vintage Air climate control. 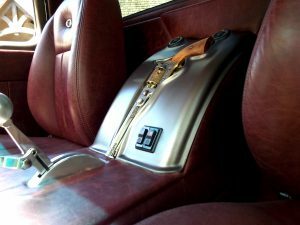 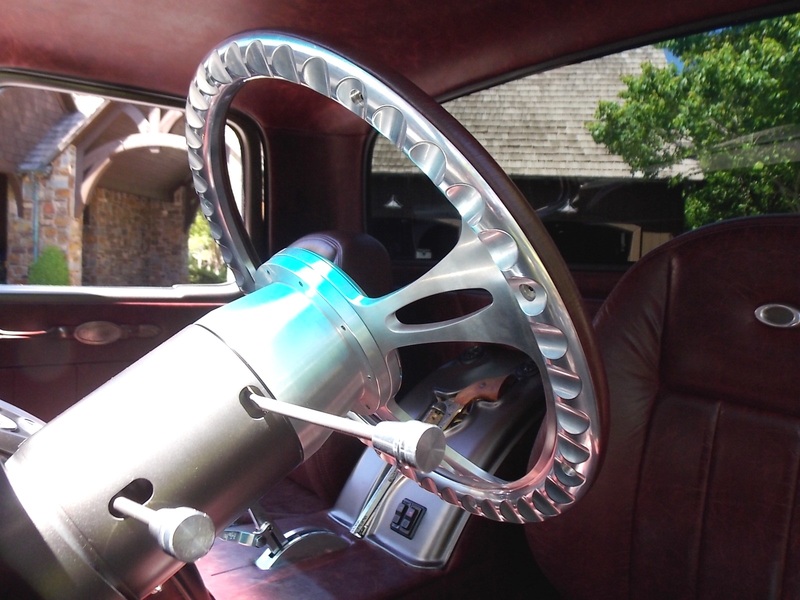 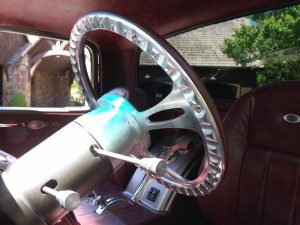 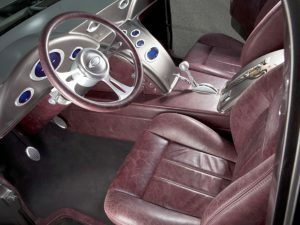 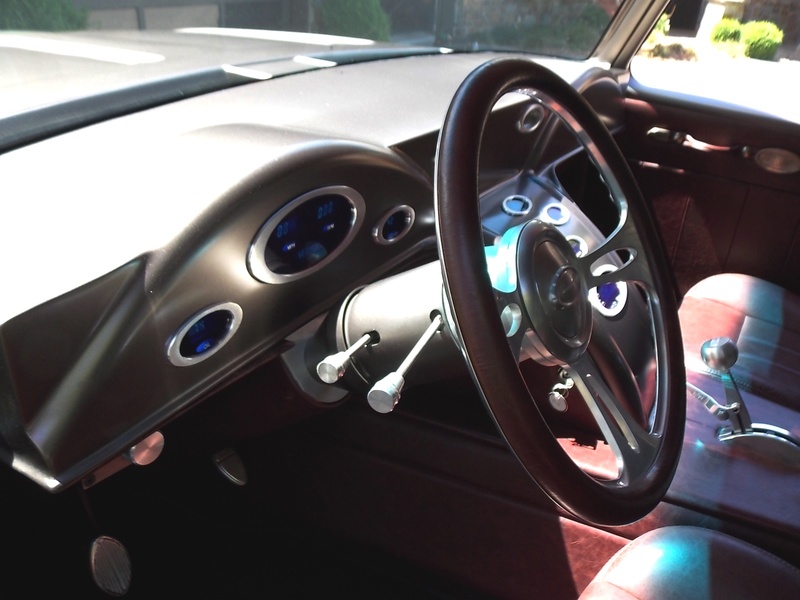 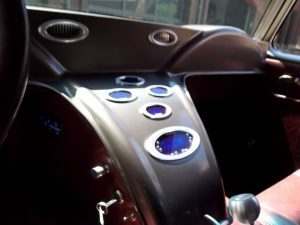 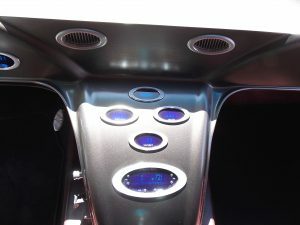 The final touch is a highly embellished Colt revolver as a centerpiece in the console, and just ahead of the shooting iron is a B&M Bandit shifter. 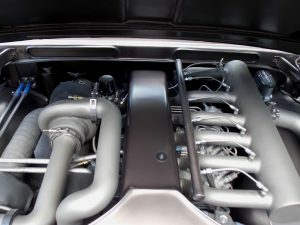 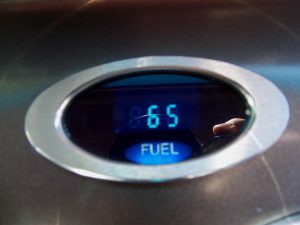 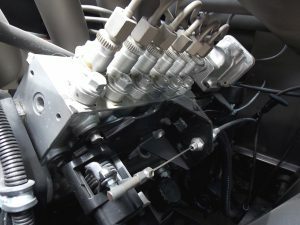 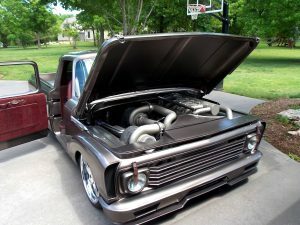 Power is provided by a twin turbo Cummins 5.9 Liter 24 Valve Diesel. A custom designed stainless intake manifold supports a 13mm Bosch P7100 injection pump getting the goods from Borg Warner S400 and S500 turbos. 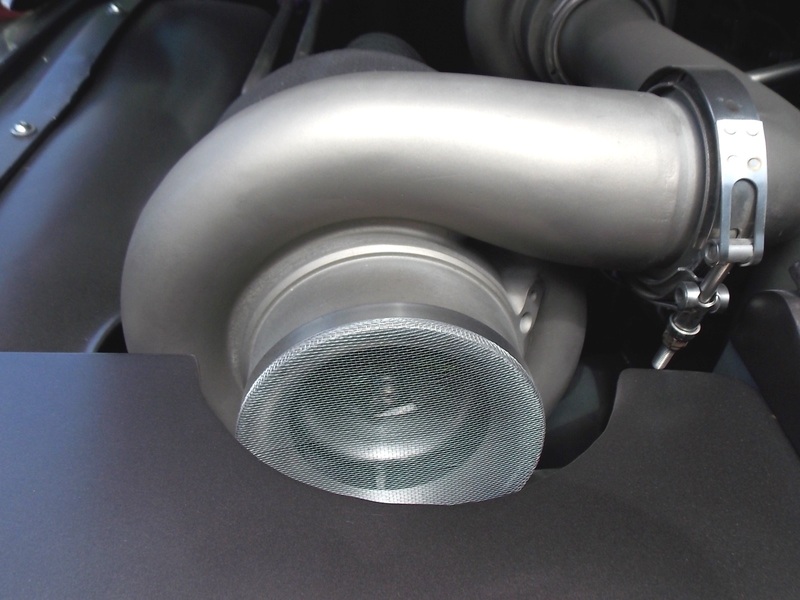 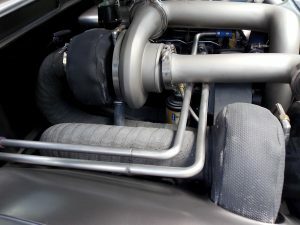 For added kick, a Nitrous Express custom plumbed 500hp system, while spent gases dump through Steed Speed headers to custom 4″ exhaust and Flowmaster mufflers then onto nasty 5″ cutouts in the lower bedside panels. 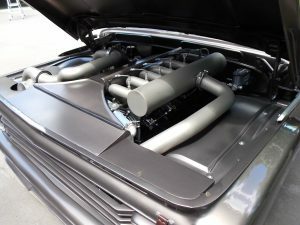 The engine bay is a work of art showcasing more fabrication with custom sheet metal panel work everywhere you look. 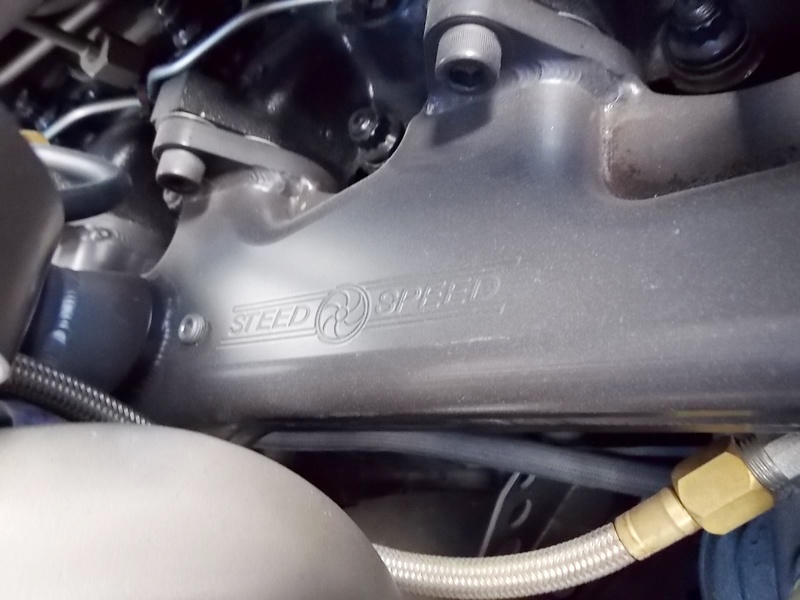 Generating 1,000hp and 1,950 ft/lbs of torque at 3,400 rpm moving like a freight train through a fully manual 47RH automatic transmission. 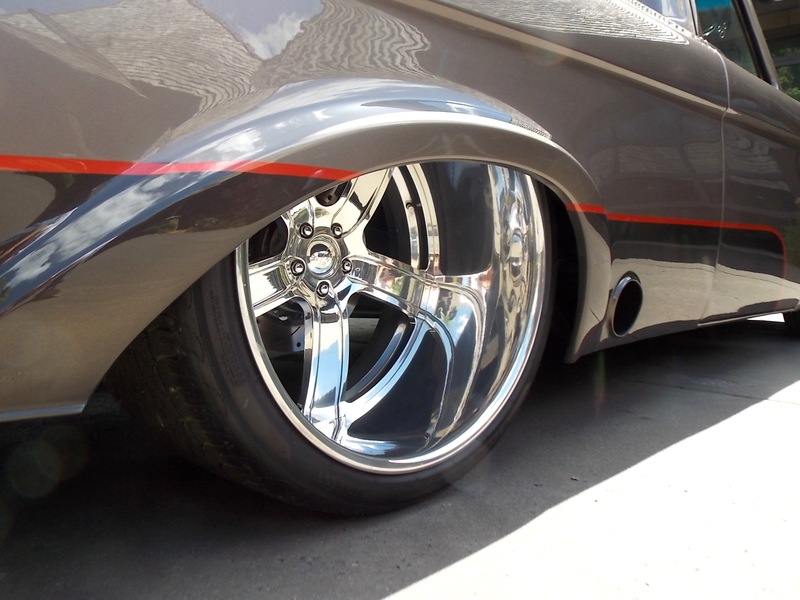 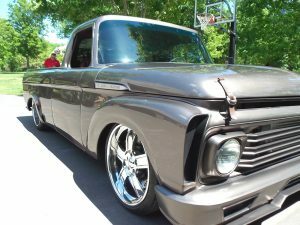 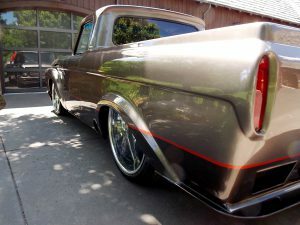 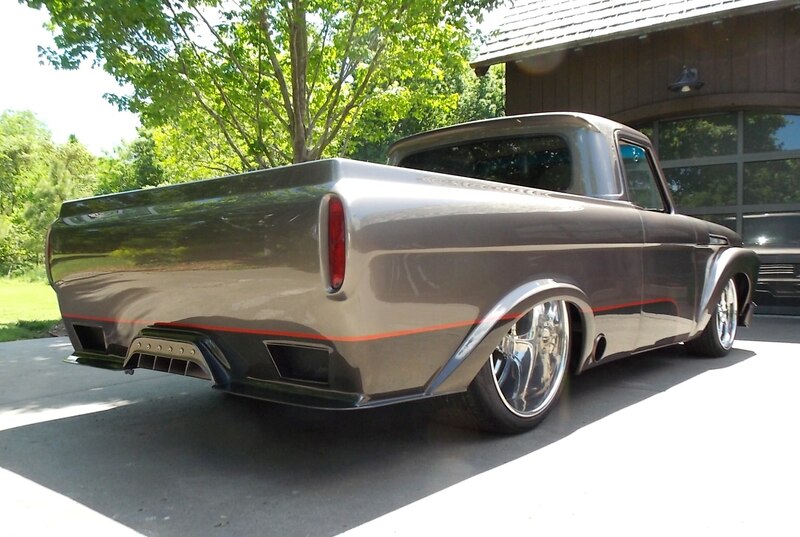 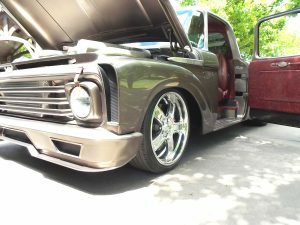 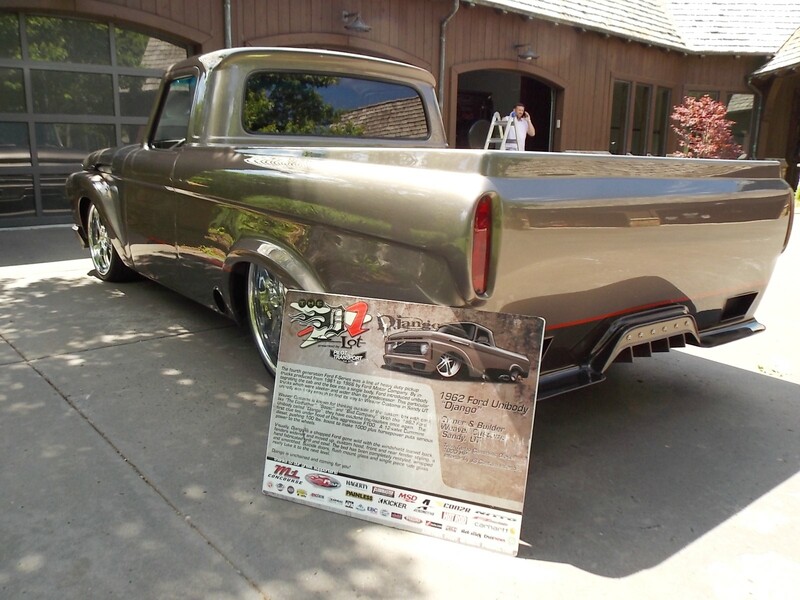 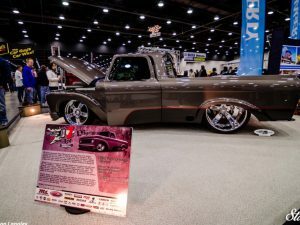 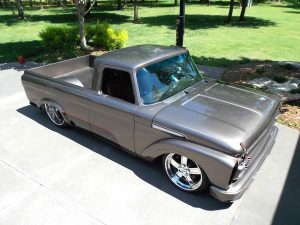 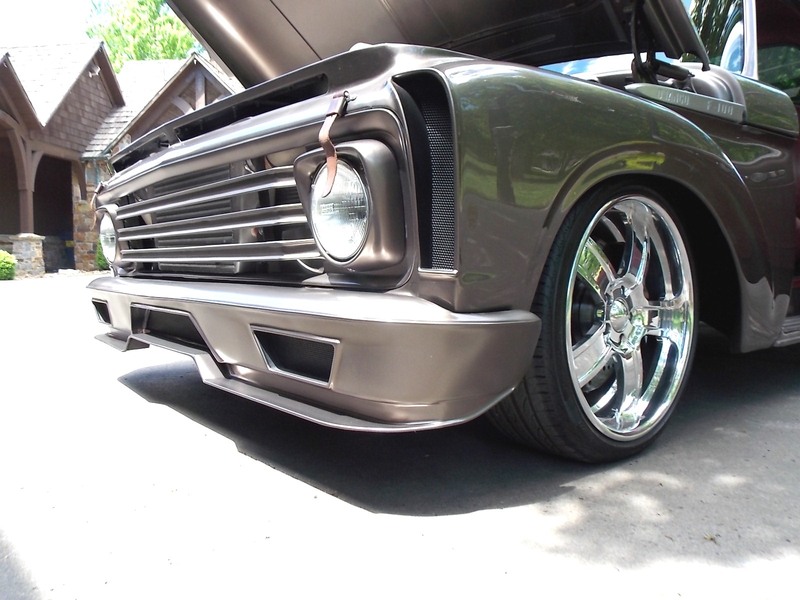 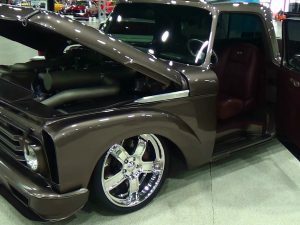 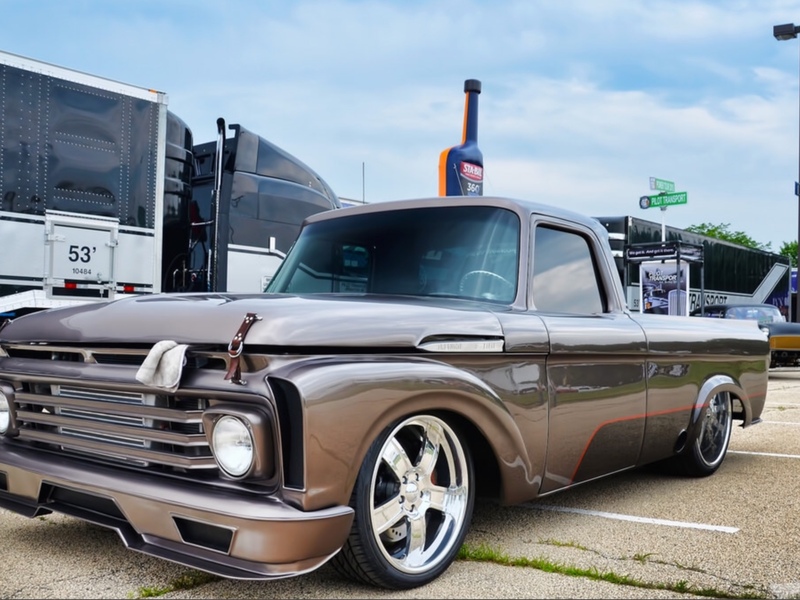 To lay down the power a narrowed 9″ Ford rear was packed with 3.55 gears and hung in place by a custom Chrome Moly 4-link accented by RideTech double-adjustable coilovers. IFS was added along with a custom anti-sway bar. 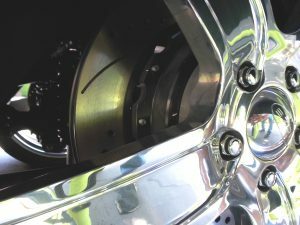 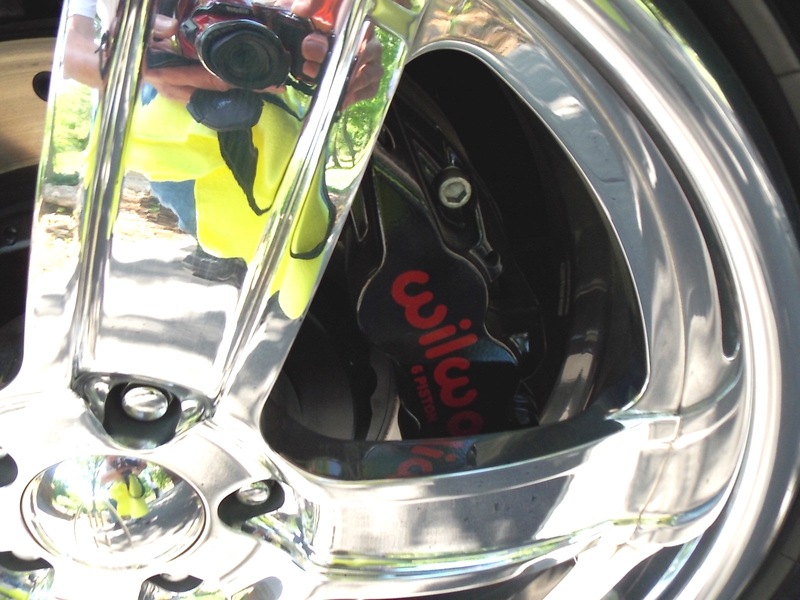 Massive 14″ drilled and slotted Wilwoods rotors bring it all to a halt. 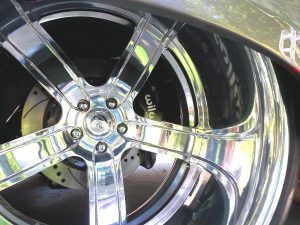 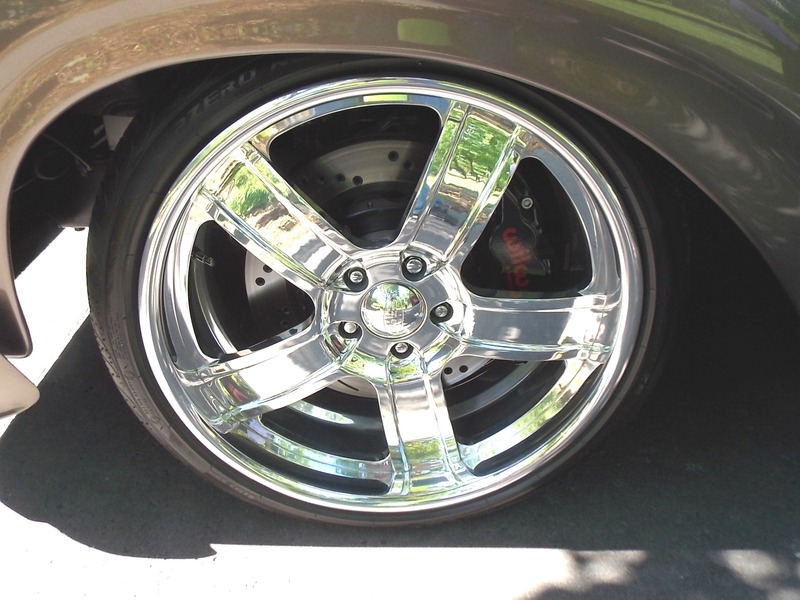 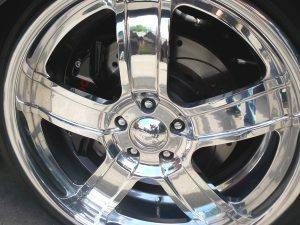 The rubber meeting the road is a low-profile Pirelli P-Zero wrapping a set of 20″ front and 24″ rear Boze Force wheels. This entry was posted on May 10, 2016. 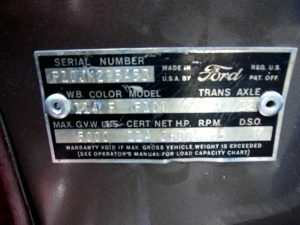 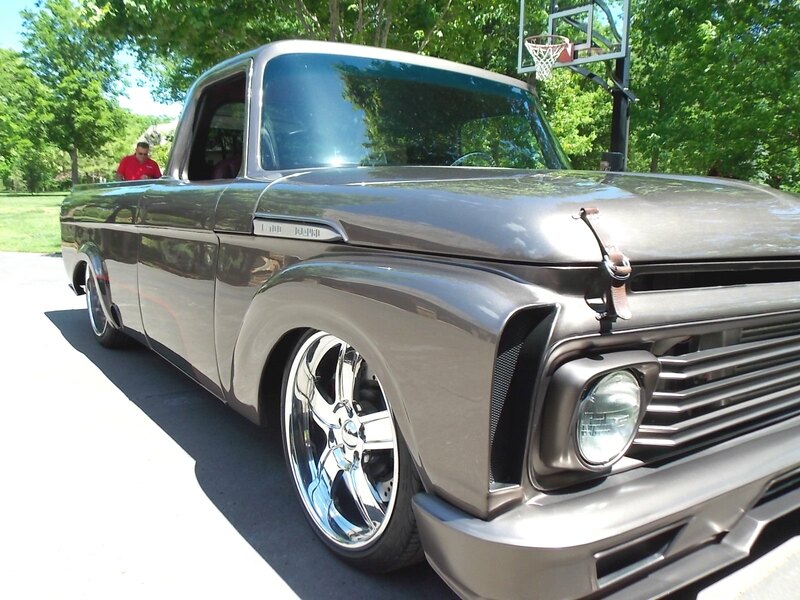 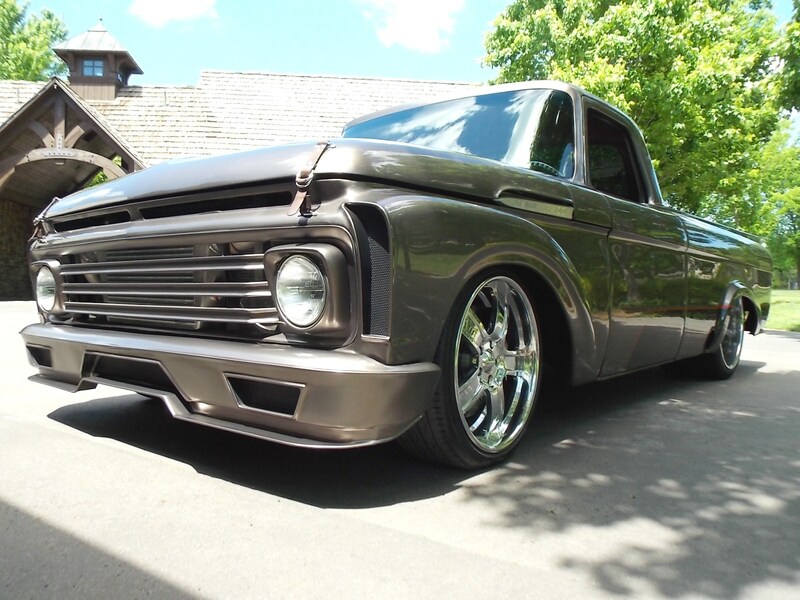 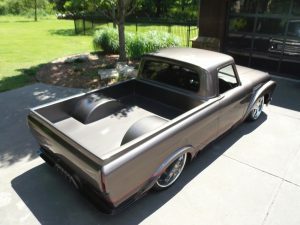 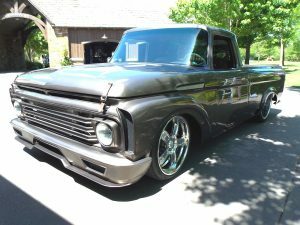 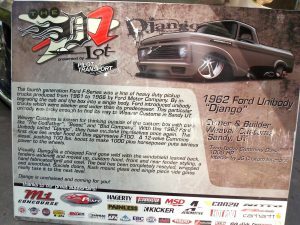 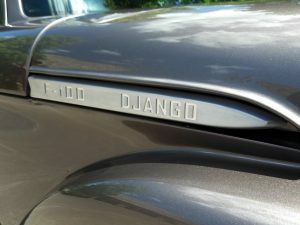 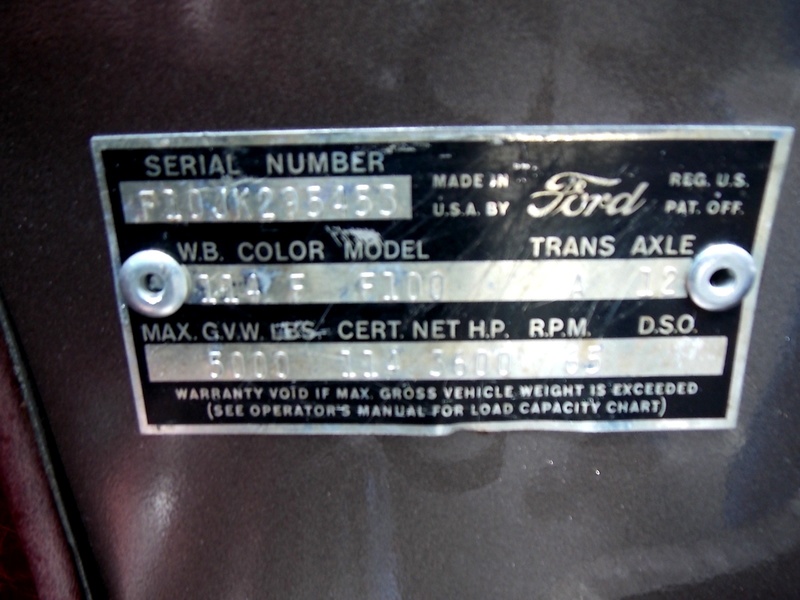 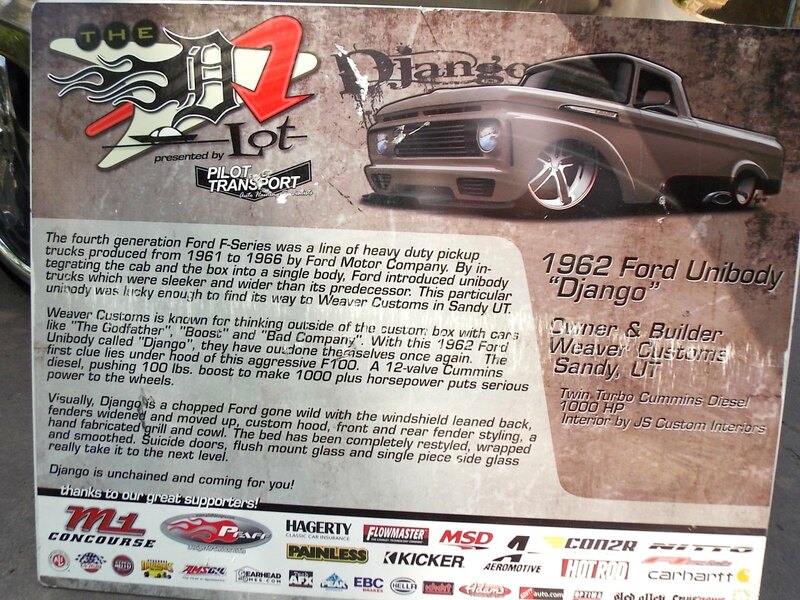 It was filed under SOLD and was tagged with 1000 HP, 1962, diesel, Django, F100.